Tom Steyer, the influential activist spearheading the fight against the Keystone XL pipeline while also investing in a rival pipeline that would compete with Keystone, is denying he has a monetary motive. Tom Steyer, the influential activist spearheading the fight against the Keystone XL pipeline who has made a fortune in oil investments while also investing in a rival pipeline that would compete with Keystone, is denying he has a monetary motive. Steyer says there's nothing untoward about his motives. 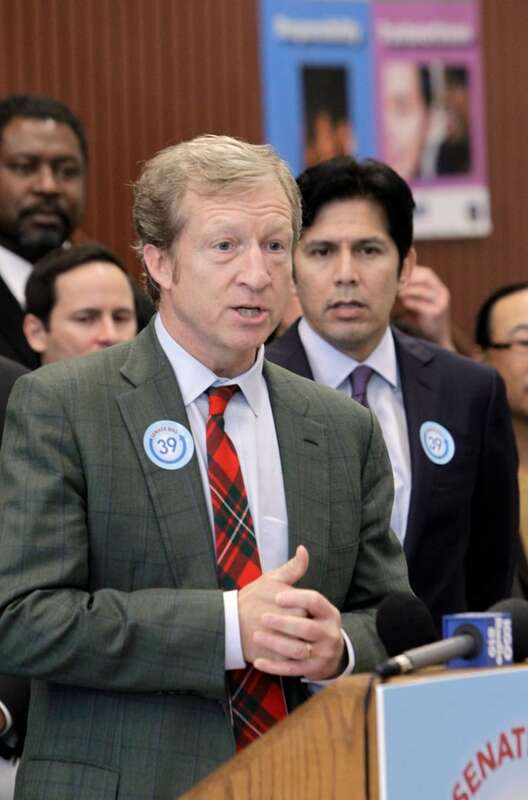 Steyer, the well-connected donor to successful U.S. political campaigns, says he left behind his previous life as an investment banker to dedicate himself to the fight against climate change. In a recent interview with The Canadian Press, the man nicknamed the "green billionaire" responded to critics who question his sincerity in light of his investment portfolio. "It is true: I have profited from investments in the past," said Steyer, who last year left the hedge fund he founded, Farallon Capital Management, to become a political activist. "And we invested in virtually every sector of the economy over 30 years. So that's absolutely true. What's also true is that over time it became clear that we weren't as a country putting in place the policies that would help us, as a society, solve this problem. "That was something that took me, you know, a number of years to figure out. And then I became increasingly convinced of it as I studied it." Even before leaving his investment career, he'd signed the Giving Pledge created by Bill Gates and Warren Buffet to donate most of his wealth. Since then, he's promised to give U.S. wildfire victims 100 per cent of the profits from his investments in the Keystone rival, the Kinder Morgan pipeline project to B.C. — a potential sum he estimates at between $1 million and $2 million. He's also instructed that his carbon-emitting investments be sold off. There's another persistent whisper from Steyer's critics: that he might be using the profile created by the Keystone XL fight as a trampoline into elected office in his home state of California. His response to that contains a couple of caveats. "I would do just about anything to push forward sensible policies on what I think is a generational issue — maybe more than a generational issue. But I have no plans to run for office," he said. "But if I thought that it would really be important and would make a huge difference, I'd do it in a heartbeat." Where would he run — governor of California? The U.S. Senate? "That's my point," he replied. "I don't see that. If I saw it, I wouldn't hesitate to do it. But I don't really see it right now." For now, Steyer says, he's focused on defeating a pipeline project that he says would strengthen the long-term economic viability of the Canadian oilsands — with long-term consequences for the climate. 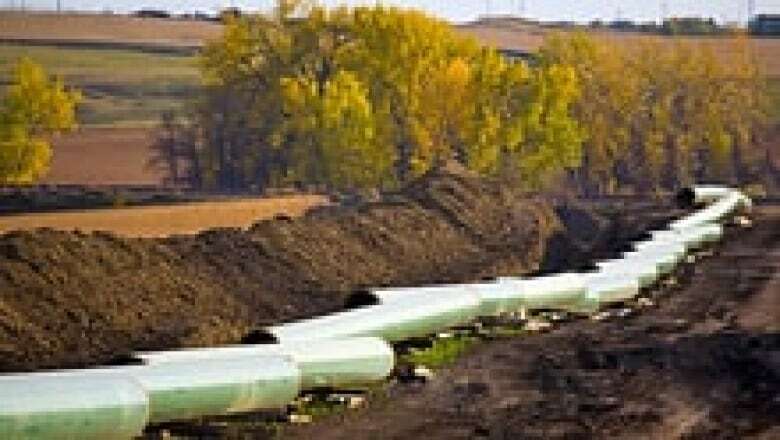 At a Washington, D.C., conference on Keystone XL earlier this month, Steyer argued that without the new pipeline, the "tarsands" would lose much of their lustre for investors because rail transportation probably couldn't carry the same load and certainly couldn't do it at the same price. It's true that rail shipment has been estimated to cost about $5 more per barrel — the equivalent of a few cents more per litre of gasoline — which would potentially chip away at company profits. But doubts persist about the accuracy of that $5 estimate, as well as about rail's ability to fill the void. Wearing his trademark tartan tie and billionaire-chic tousled hairdo, Steyer presented a chart at the conference showing rail shipment couldn't come close to equalling the output of Keystone XL. 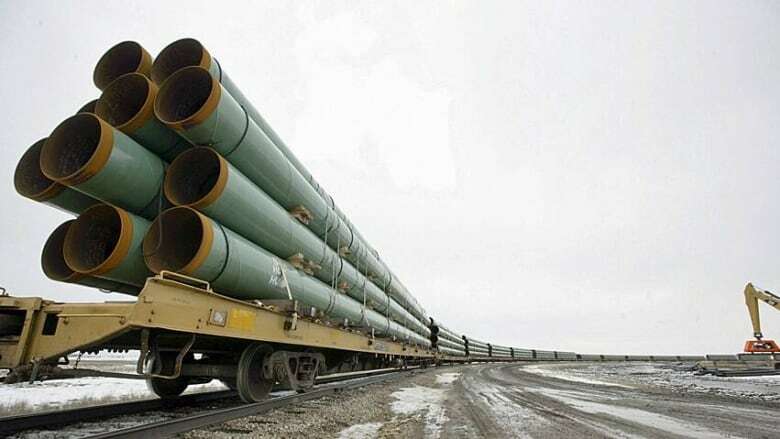 But the Canadian government points to analysis that suggests the sky's the limit when it comes to rail potential, with shipments increasing 15-fold since 2009 and ongoing projects pegged to add 700,000 barrels per day of capacity, a load similar to Keystone XL. Of course, that comes with a higher price, more pollution and more risk as illustrated so dramatically by the disaster this past summer in Lac-Megantic, Que. After various delays, a final decision from the U.S. government to approve or reject the Keystone XL project is expected in the coming months. Steyer, a prominent Democratic party donor, has been urging U.S. President Barack Obama to block it. Another famous Keystone skeptic, John Podesta, has just been hired as Obama's energy and climate adviser — although the White House says Podesta will recuse himself from Keystone deliberations. The Canadian government says what matters are the facts — and the facts support the project. "I've been on panels with John Podesta. He's a very intelligent man," Gary Doer, the Canadian ambassador to Washington, said in an interview last week. The oil is coming from Canada. It's coming from Alberta. It's coming from the Bakken oil fields [in the U.S.]. It's coming down on rail now. Higher cost, higher [Green House Gases], and higher risk. - Gary Doer, Canadian ambassador to U.S. There's one thing Doer and Steyer agree on: they both say they have no idea which way Obama is leaning. "The oil is coming from Canada. It's coming from Alberta. It's coming from the Bakken oil fields [in the U.S.]. It's coming down on rail now. Higher cost, higher GHGs, and higher risk." And if Keystone is ultimately blocked, in the end, the green billionaire wants Canadians to know it's nothing personal. In fact, he says, he's working to help them, too. "Look, I view 32 million Canadians as being in the exact same boat as the United States of America — and everybody else on the planet," Steyer said. "Which is, we need to figure out a way to grow our economies and improve our lifestyles in a sustainable fashion. And I don't see you guys as being different from us on that. If it can't happen for you, it can't happen for us."